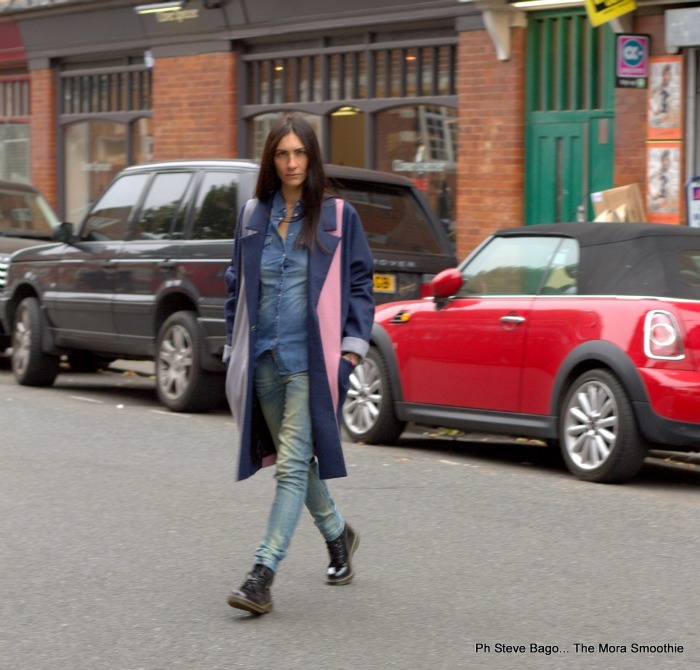 The Mora Smoothie fashion blog, DIY fashion by Paola Buonacara: London experience with my coat by Heritage by Claudia Gamba! London experience with my coat by Heritage by Claudia Gamba! A total denim but with a touch of class and color, the oversize coat in blue and pink with hints of gray, cut to the knee, comfortable and enveloping to warm your days. A clothes that can't miss in our wardrobe, this is by the Heritage collection by Claudia Gamba. Un total denim ma con un tocco di classe e di colore, il cappotto oversize in blu e rosa con accenni di grigio, dal taglio al ginocchio, comodo ed avvolgente per scaldare le vostre giornate. Un capo che non può mancare nel nostro guardaroba, questo è della collezione Heritage by Claudia Gamba. Etichette: fashion, fashion blog, fashion blogger, look, Outfit, paola buonacara, themorasmoothie. Dear Paola, your coat is very cool, I like it how you have styled it! Questo cappotto è davvero bellissimo! I love your coat :) the cut and color is gorgeous! Stai benissimo in versione sportiva e questo cappotto è proprio simpatico. Love the color block coat, and great chic vibe! Well done! Sei sempre chic Paola, anche coi jeans! !